See the dark underbelly of London with a gangster bus tour of the city for one or two people! Lasting approximately 90 minutes, with lively commentary on the criminal underworld from Micky Goldtooth and Shaun Taylor. 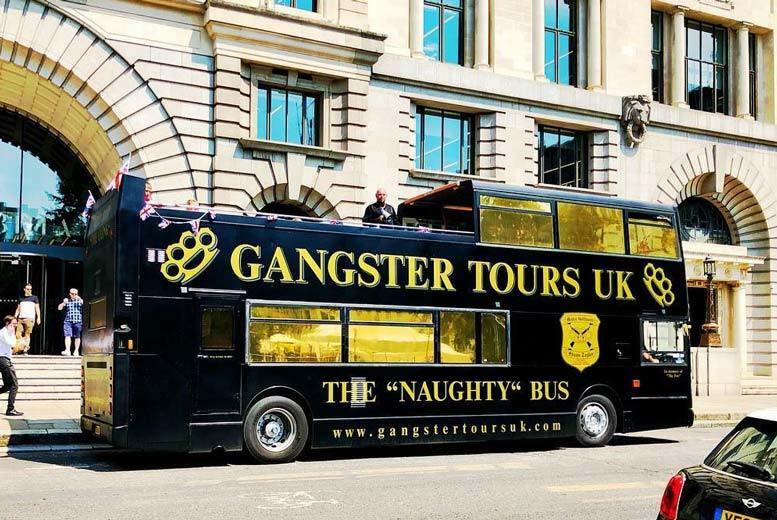 From Gangster Tours, rated an impressive 5 out of 5 on TripAdvisor! The tour winds through the East End before stopping at The Clink Prison Museum in Southwark. One of England’s oldest and most notorious prisons, dating back to 1144 and awarded a TripAdvisor Certificate of Excellence! Departing on Saturdays from Liverpool Street Station (Stop F) at 11am.